Find hotel near Residence Of Princess Lju .. 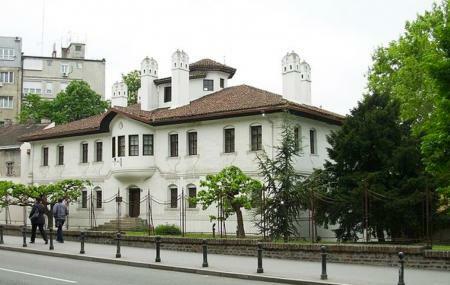 This Turkish and European style palace used to be the residence of Princess Ljubica. Today, though it’s used mostly for temporary exhibitions. There’s a permanent exhibition too – furniture and other everyday objects and tools such as Belgraders in the 19th century may have used. On Fridays, at 5pm and Saturdays at 11am, you can catch a really fun show – ‘Coffee with Princess Ljubica’. An actress dresses up as the princess and tells you stories of Serbia from centuries ago. How popular is Residence Of Princess Ljubica? People normally club together Zemunski Kej and Republic Square while planning their visit to Residence Of Princess Ljubica. Self guided tour. SO cool and all the displays had English so it was easy to follow. If you're into old furnishings, outfits and paintings then you'll definitely enjoy it. Every room and unique stuff and it's very well preserved and beautiful. LOVED the Turkish room upstairs, so many beautiful pieces. Interior of the Konak is a setup which represents a few periods of 19th century by clothes, paintings and photographs, but various styles of furniture are the true testimony of the radical social and cultural changes arised in Serbia just in one century. Very nice historical building and museum.